"Succession Strategies Panel Discussion: Estate Plans including Family Transition / Co-op / ESOP Ownership "
As part of our overall programming theme for the year “Succession Planning in the 21st Century: A bridge to Successful Transitions” this workshop is the final in our Succession Planning Educational Series. The series consists of three seminars/workshops all at Husson University that all fall under the umbrella of Succession Planning. The first program was on Succession Planning 101: An Integrated Planning Model for the Family Business presented by Jane Hilburt-Davis and the second covered Awareness, Communication & Conflict Resolution in Succession Planning: The Game of Ten Played by Stephen Barton and Elizabeth Reuthe. The final program builds off research by White Horse Advisors that shows that 96% of business owners agree it’s important to have a transition strategy. Yet only 13% have a plan that is current and written. It is critical for families and businesses to plan for the inevitable transition, regardless of the outcome. This program will help them see their way clear of the reasons why planning isn't done and discuss several different outcomes in general terms. The program will help business owners identify important issues to consider in a transition, tools to help and possible outcomes. We will give an overview of and answer questions about succession options including a family transition, ESOP and worker Co-op conversion. We will discuss how to plan for a successful family transition and what options this provides for the business. Next we’ll look at what a worker Co-op is (and isn’t! ), how a transaction takes place, management succession options, potential tax benefits to the seller and the newly formed worker Co-op, and give several examples of Maine firms that have converted to worker cooperatives. For our final option we will discuss the ins and outs of ESOPs: What is it? How does it work? Will it work for me? Your take always will be to understand different ways ESOPs are structured (and why), characteristics of successful ESOPs and what drive the value in an ESOP. Our goal of this program is for audience members to have a basic, nuts-and-bolts understanding of a range of options (structures and processes) for sustaining a family business when a principal is planning retirement, for possibly transitioning to a Co-op or an ESOP ownership option. We will cover basics and give relevant examples and leave as much time for audience discussion as possible. We will also have guest speakers who are owners who have gone through each type of transition option. Our program will be facilitated by Seth Webber who will lead this discussion on how to successfully transition a family business within your family, to a Co-op or to an ESOP versus an outside sale. Seth has been performing business valuations and providing expert witness services for BerryDunn since 2007. 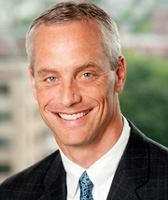 His prior experience included management and consulting experience including several years with Deloitte Consulting in Boston and Detroit. Seth holds a MBA from the University of Virginia, Darden Graduate School of Business Administration. Jim is part of the fourth generation ownership managing Sun Media Group which consists of a daily newspaper, 15 weekly newspapers and their websites, a commercial printing division, real estate holdings and a software development company. Jim is a graduate of Rochester Institute of Technology with a BS degree in Newspaper Management. Jim has worked at Sun Media Group since 1982 and has held leadership positions in a variety of industry and community associations. He has been a member of the PAGE Supplier Evaluation Committee since 1988 and served as President and on the board of North East Operations Association. He is a past president of the board of directors for Boys and Girls Clubs of Southern Maine and United Way of Androscoggin County. Rob’s program promotes employee ownership in Maine and works with retiring business owners and their employees to facilitate conversion to worker cooperatives. Rob was part of the advisory group that successfully converted three retail businesses into the Island Employee Cooperative, which is now the largest worker Co-op in Maine and the second largest in New England. He has also organized mobile home park residents to convert investor-owned parks into resident-owned cooperatives. 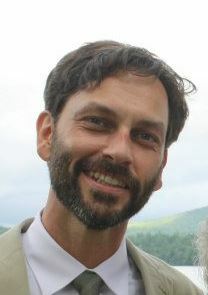 Prior to his work with CDI, Rob was the founding Executive Director of Opportunity Maine. Over the years, Rob has been a featured speaker at many national events, including as a William Jefferson Clinton Distinguished Lecturer at the Clinton Presidential Library and School of Public Service. Susanne Ward is the founder/owner of Rock City Coffee and Rock City Cafe in Rockland, Maine. Originally from the West Coast, she worked as a teacher and editor in California. In 1991, she and her husband moved to Rockland and opened a small used bookstore and coffeehouse on Main Street. The business quickly became a hub of activity, expanding steadily over the years. In 1999, they opened Rock City Coffee Roastery, which supplies Rock City Cafe, as well as a growing wholesale business. Jeannine began her career in public accounting for companies in all industries, including employee benefit plans. She joined Stewart’s Shops Corp, a company that sponsored a large ESOP plan in Saratoga Springs, NY. As an internal trustee for the plan, she managed the administration of the plan, including internal record keeping, repurchase obligation studies, annual stock valuation analysis, education and advising on day to day operational issues. Jeannine joined the Spinnaker Team in 2015 where she ensures all Spinnakers’ fiduciary obligations are fulfilled and strives to be a trusted resource for all their ESOP clients. A native of Rochester, NY, Jeannine lives in Scarborough with her husband and two daughters. Danielle Moody - Resource Management Director, Moody’s Collision Centers in Portland. Danielle Moody began her career at 13 as a detailer at family-owned Moody’s Collision Centers, continuing on with summers and school vacations through the years. 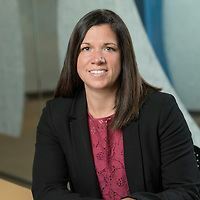 She graduated from Gorham High School and went on to receive her BA degree with a concentration in Management from Bryant University, returning to Moody’s as a Customer Service Representative and Parts Procurement Specialist. Working in many capacities at Moody’s has given Danielle the range of operational experience to go with her business degree. Danielle has recently been promoted to lead Moody’s Resource Management department which handles finance, payroll, HR and consolidated administration for over 150 co-workers serving nine locations. Moody’s is an employee owned company with the co-workers owning 34% of the company. Since the inception of the ESOP in 2003, Moody’s has grown an average of 18% year over year. Danielle handles the administration of the ESOP, is a participant on the ESOP Committee and is also the daughter of owner and founder, Shawn Moody. 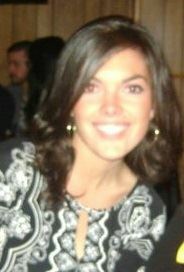 She is married to Kyle Plante with two daughters Amelia and Jacqueline. Remote access is available to dial in. You must have hi-speed Internet access and a camera on your computer with a microphone to connect and dial-in to the forum remotely. If you are dialing in to the workshop you must pre-register so we can send you the remote instructions.